07 « December « 2015 « Nothing in Biology Makes Sense! Hey Mr. Tarantula. Why so blue? Seriously though, blue pigment is relatively rare in the animal kingdom. As NPR once put it, “animals hacked the rainbow and got stumped on blue.” This is at least partly because it’s surprisingly difficult to make blue pigments. Instead, most blue animals get their melancholy coloring from microscopic structures in their hairs, feathers, and scales. 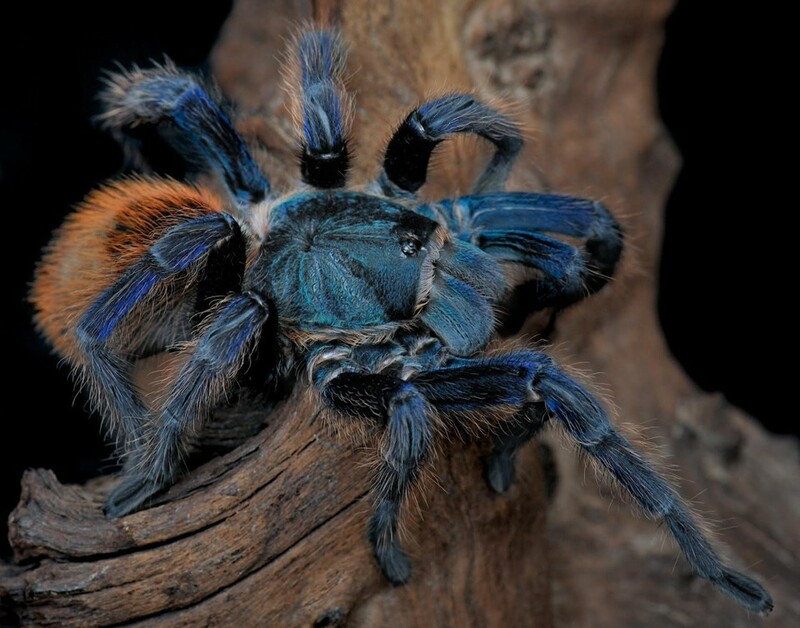 But it turns out that the majority of species in each of the sub-groups of the massive tarantula family tree has a blue tarantula. And the color blue? Also comes from really cool structures.